Yesterday was one of those perfectly crisp fall days to walk around New York City. We had a day of errands to run. After the necessities were out of the way, we headed downtown to Best Buy to check out the Intel Technology Experience. We’re a tech savvy familia and Joseph is a geek god. We know the value of technology and the role it plays in teaching Norrin. We welcome any chance to learn about and try out new technologies but like most Americans (79% to be exact according to a new study by Intel and Toluna) we have limited opportunities to do so. The lack in access beyond what we read or see in the media is frustrating. I don’t always want to read or hear about people’s experiences with technology – I want my own. I want the opportunity to try out the latest tech so that I may form my own opinion to see if it’s the right fit for my family needs. That’s the reason why Intel and Best Buy are now teaming up to bring new Intel Technology Experience zones to 50 Best Buy stores in major markets across the U.S. The Intel Technology Experience lets customers – from tech enthusiasts to technophobes – play, explore, and be inspired by the power of technology with hands-on activities like 3D printing and virtual reality games. For many, this is the first opportunity to see, touch, and play with exciting new technologies they’ve only heard about. The Intel Technology Experience at Best Buy allowed us to see the power of Intel. Norrin and I played around with an Intel-powered 2-in-1 to master beats and remix tracks by Ne-Yo as a digital DJ. It was my first time using a 2-in-1 and I really liked the versatility. Norrin is so used to touch screen that sometimes while on a computer or laptop – he’ll touch the screen out of habit. Knowing that there is a technology out there that can allow him to use both will be helpful to him. Joseph showed off his racing skills on Mars in an augmented reality world. He was impressed with the tablet and how the virtual rover responded to the terrain on the real life model. You can also build and print your very own 3D robot and check out the latest PC and tablet devices powered by Intel processors. 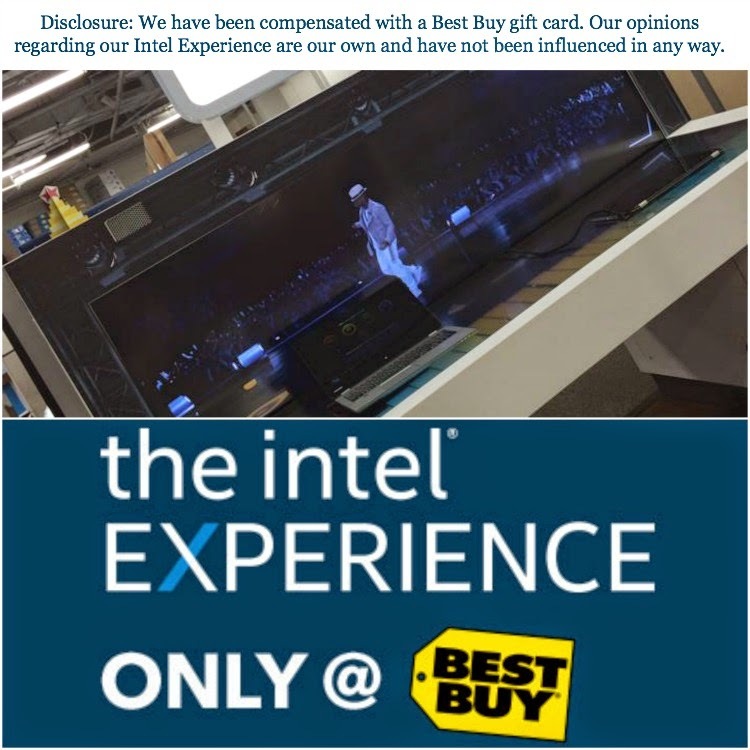 There are quite a few options to explore at the Intel Experience at Best Buy – costumers are free to try as many as they’d like! What I appreciated about the Intel Experience was that the area was staffed by specially trained Best Buy Blue Shirts. They were all super friendly, patient and eager to talk tech. No one tried to sell me anything, no one pushed a particular product, no one rushed me through a demo so they can move on to the next customer. They were there to answer my questions and help make the most of our experience. And they did! Each season, Intel will refresh the venues with a new array of technology experiences. And we can’t wait to go back.